We think you already know that your wedding ring, which is the most valuable and precious jewelry you’ll ever wear, needs to be something truly special and spectacular. That’s why you’re on this page reading this post, right? It’s the most special gift you’ll buy for your spouse, something which they’ll wear the whole time all their life. But, how can any ring that you pick up from a random jewelry shop deserve to be this special? Even if you pick up the most elegant or extravagant wedding rings, if they are not made for you, if they don’t speak of the love you have with your partner, it just cannot do the trick. How about if we tell you that you can design your own wedding rings—everything right from the design, the metals used, the add-on stones and gems, the thickness of the band, everything on your rings will have your say in it. Would you believe us? What if we tell you that we can manufacture your wedding or engagement rings, just the way you want them to be? You might have some ideas or themes about how your perfect wedding rings would look, right? Whatever that idea is, just sketch them on a piece of paper. You don’t have to be Van Gogh to do that. Just a rough sketch would be fine. It will help our designers capture your imagination. It will give them a fair idea of how you want your rings to look like. After going through your sketch, our designers will share their ideas and suggestions on the design with you. They will suggest improvements and add newer dimensions to your sketch, if required. 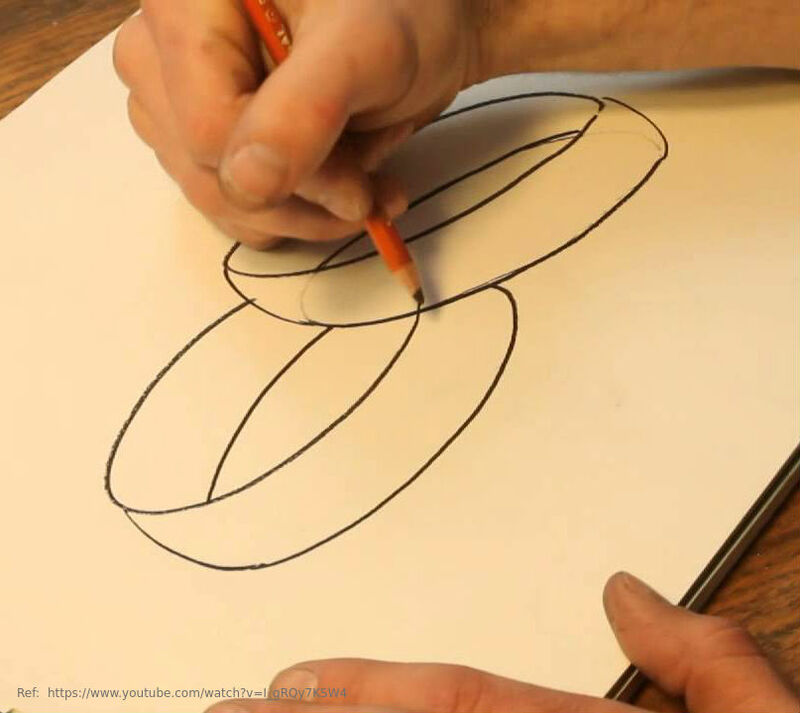 They will help you move your sketch a bit more toward professional ring designs. If you are someone who has no idea about how your wedding rings should look, do not worry. You can skip the sketch part and directly get in touch with our designers for brainstorming ideas with them. They will help you identify what it is that truly resonates with you and your partner. Together, you can come up with theme and design ideas for your rings. You can rest assured that our designers will be there to help you at every step of the process, whenever they can. During your interaction with our designers, you will also be walked through different personalization options that we have on offer. What personalization options are we talking about? 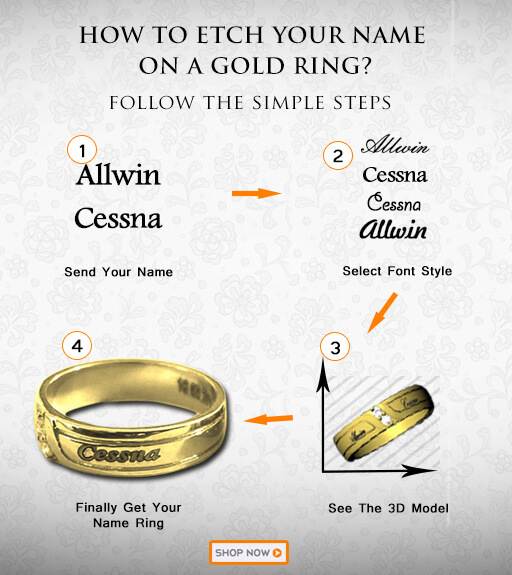 You might have seen that couples usually have each other’s names on their wedding rings. We thought, why just stick to names. Let’s take this a step further, and we did. 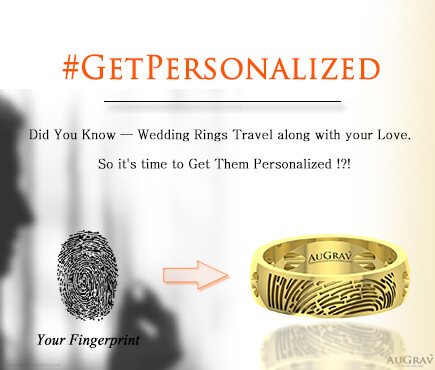 So, here are some of the different ways how you can personalize your wedding or engagement rings at AuGrav. This is a classic personalization option which is also the most popular one. Couples usually have each other’s names or initials, engraved or imprinted on their wedding rings, to remind them of each other, every time they look at their ring. Your fingerprints are unique and you don’t share them with anyone in the world. And your fingerprints represent your touch. 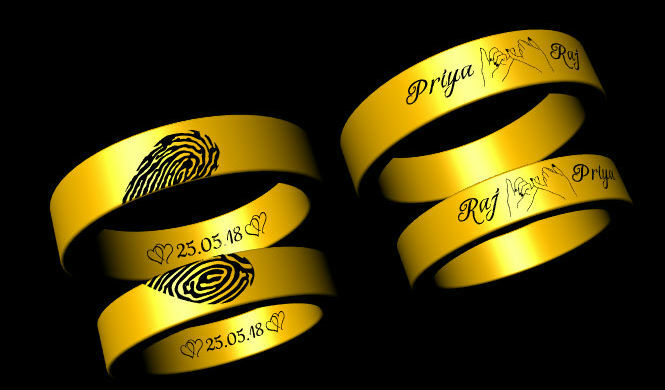 Imagine having your wedding ring with your partner’s fingerprints engraved on it. For this, you just have to send us a picture of your fingerprints (just press your finger on the ink pad, place it on a paper and click the picture). That’s all it takes. How did you feel when your partner first said those three special words? Did you feel like capturing the words and preserving it forever? You can now do that. 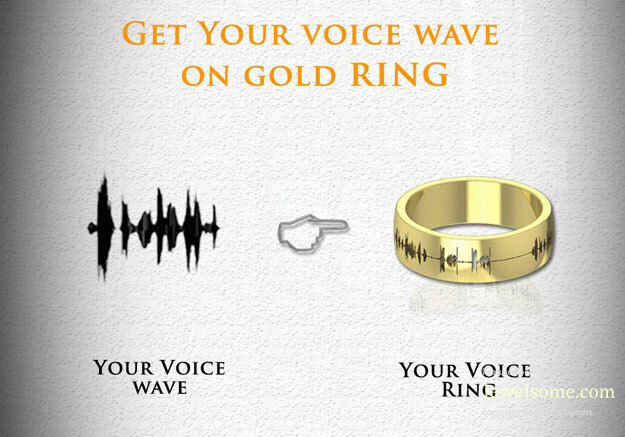 Capture your partner’s voice, turn it into soundwaves and get them engraved or imprinted on your wedding ring. 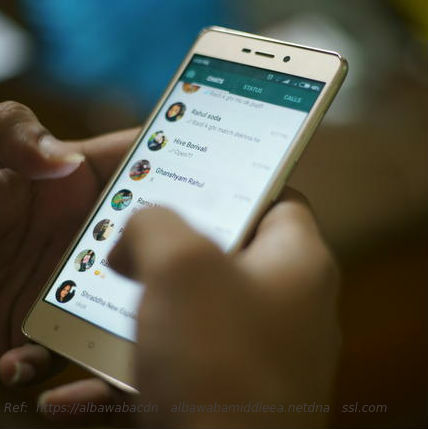 All you have to do is record your voice when saying something special to each other, it could be anything, your names, secret messages, express love… And then, send the recording to us. We’ll convert them into soundwaves and onto your wedding rings. They say, when in love, your heart beats for your lover. Science has proven that when we see the person we love or hear their voice, our heart starts beating faster. Needless to say that heart beats and love have deep connection, after all it’s from our heart that we all love. 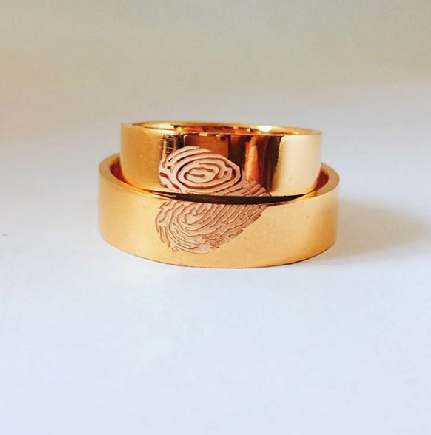 ECG waves rings are the perfect way of preserving your lover’s heart beats by getting them onto your wedding rings. These are just a few of the many ideas that you pick from a list of personalization options offered at AuGrav. Based on the design you and our designers mutually agree on, we send you a price estimate and then you place the order. 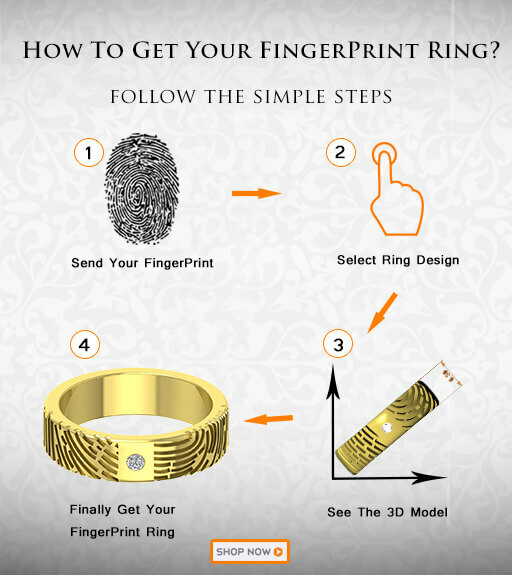 Once you’ve placed your order, we prepare the final 3D design of the ring. This will give you a clear idea as to how the ring would look. You can verify every aspect of the ring in the 3D design and suggest changes till the time you are 100% convinced about it. Once you give us your approval on our 3 dimensional design of your rings, the manufacturing begins. It takes about 6-8 days for us to manufacture gold rings and 10-14 days for platinum rings. After the rings are manufactured, the product is shipped, and will arrive at your doorstep in the next 2-3 days. You can find the detailed process here. Contact Us To Customize Your Own Wedding Rings! « 11 Promising Wedding Customizations That Will Make You Feel Special. How can you design your own Wedding Rings? Overall rating: 4.7 out of 5 based on 235 reviews.